It’s no secret that for years Henrico County has been poised at the forefront of attracting investment from big network and data center providers. With a business-friendly approach, prime land for development in an ideal location 165 kilometers south of D.C., and a highly skilled workforce, Henrico is an obvious choice for domestic and international partners. Now, with the arrival of the MAREA and BRUSA subsea cables, which connect at a network access point in Henrico, the county has officially opened wide the doors to bring European, Latin, and South American markets to the region via the lowest latency and highest capacity cables ever deployed between the continents. 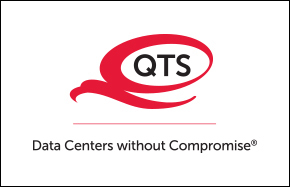 QTS Richmond NAP utilizes the power of these subsea cables and has 23 networks and counting connected at its facility in Henrico’s White Oak Technology Park. The Henrico data center is the newest connection point of this type out of only 11 in the United States. From here, companies are able to enjoy high-speed connections for advertisements, business transactions, video streaming, and more. To put that kind of power in perspective, the MAREA cable is the fastest subsea cable in existence and can download every movie ever made, in HD, in under a minute and a half. 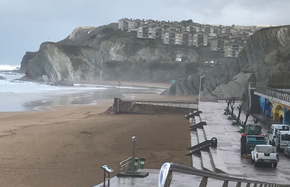 Recently, while participating in a SelectUSA event in Portugal and Spain, our own Twyla Powell visited the Telxius subsea cable landing in Bilbao, Spain. 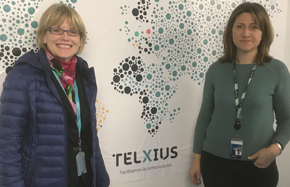 “It was truly exciting to meet the Telxius staff that manages the health and performance of this important global asset and to actually see the physical equipment and gear that drives the MAREA subsea cable to operate at its record-breaking speed,” says Powell. Want to learn more about the incredible business potential radiating from Henrico? Now you can join legends of the internet like Vint Cerf and other industry experts as they discuss the groundbreaking value of the QTS Richmond NAP at their May 7 summit. Business, technical, government, data center, and network leaders from across the nation will be in attendance. Plus, registration and admission are free.